LONDON - Sky has appointed David Murdin to the newly-created position of director of sports and marketing. Murdin was previously British Airways' global head of brand, product and service. 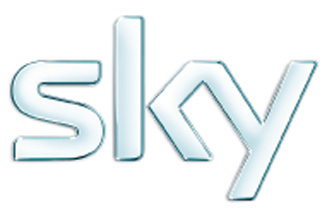 Earlier this week Christian Cull left Sky as director of customer communications. Murdin will report to Andy Brent, Sky's group director of brand marketing and will oversee the development and implementation of brand strategy for Sky Sports and Sky News. Other changes to the marketing team include the promotion of Corin Dimopoulos to the newly-created role of director of cycling. His current role spans both Sky Sports and Sky News. He will now direct and support Sky's ongoing commitment to British Cycling. Prior to working at British Airways, Murdin worked in a number of senior marketing roles, including customer strategy director at RBS and head of proposition and customer experience at Egg. Sky is the principle partner for British Cycling and sponsors the sport from the British Cycling teams through to grassroots cycling. Sky has also announced the creation of a professional British road cycling team, Team Sky, managed by Great Britain Olympic performance director Dave Brailsford CBE. Team Sky will compete from the start of 2010 with the objective of becoming the first British winner of the Tour de France.